As modelers, we often need to make a more realistic instrument panel for our models. One way is to punch holes in a layer of plastic card and insert instrument decals. Getting perfect holes can be a tedious, frustrating process. 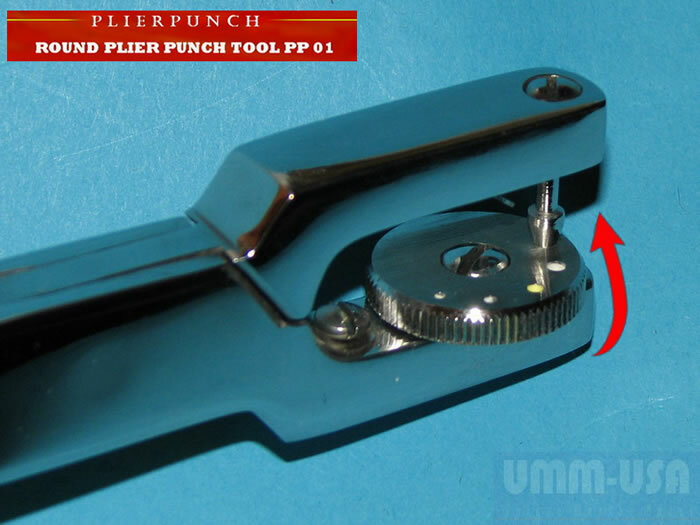 The Round PLIERPUNCH tool solves this problem. Once you have the outline of the instrument panel, just mark where the instruments will go. Rotate the disk to the size hole you need, place the panel under the punch, and squeeze the handle. Change the size as necessary by rotating the disk. In no time at all, you’ll have a completed instrument panel with perfect holes. 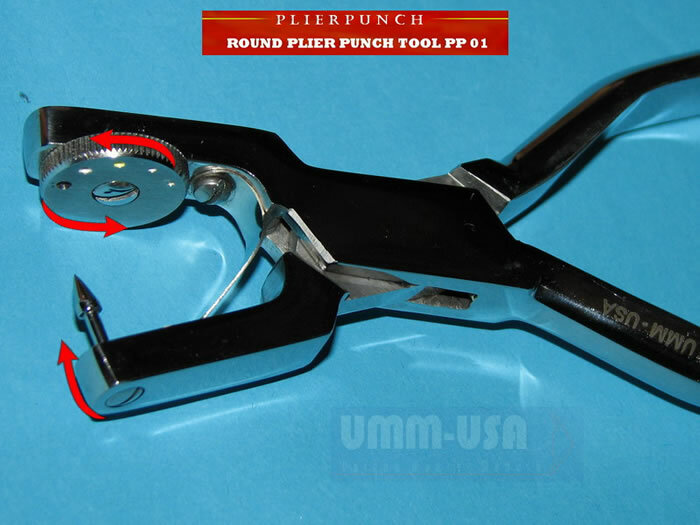 This tool feels solid in your hand and is easy to use. The rotating disk has five holes ranging in size from 1.4mm, 1.6mm, 1.8mm, 2.1mm, to 2.3mm. It’s also great for adding lightening holes to aircraft structures. 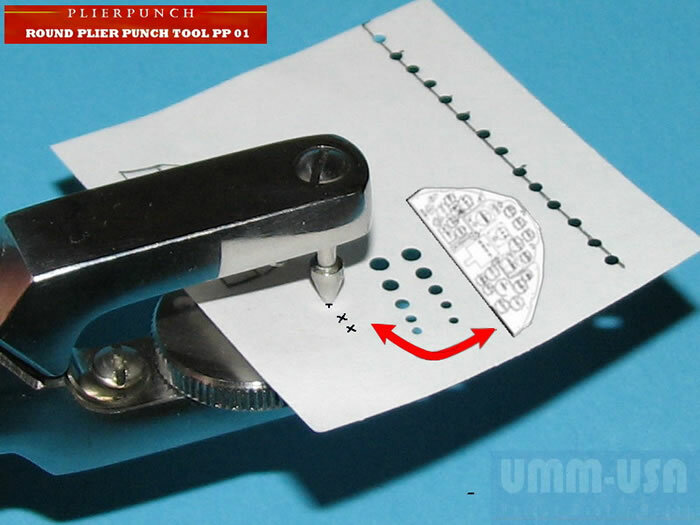 We’ve tested the tool on plastic, paper, cloth tape, and thin photo-etched parts. 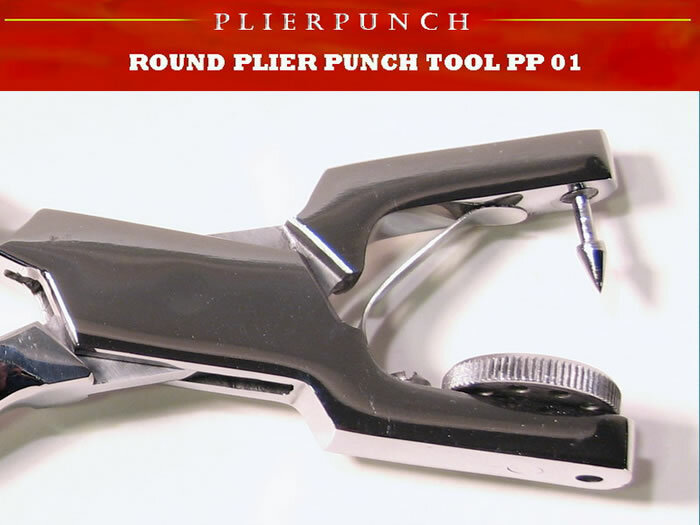 It's like a flaring tool - tubing for brakes etc. We’ve punched holes in plastic up to 2.2mm thick with no problems. 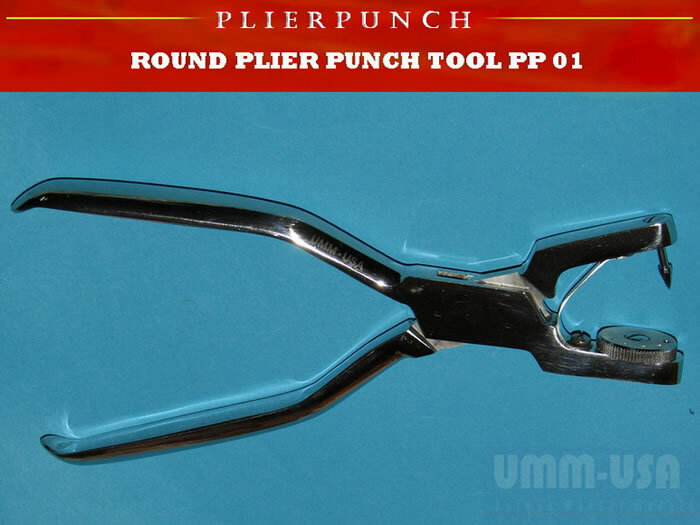 The Plierpunch is made from high quality medical stainless steel of excellent quality.